The paleontology group currently comprises curator Dr. Denver Fowler and preparator Darrah Steffen. More profiles will be added after we implement our adjunct / associate researcher program. B.Sc. (Hons) Geology, University of Durham, UK. M.Sc. Paleobiology, University of Bristol, UK. Ph.D. Earth Sciences, Montana State University, Bozeman. Born in the north of England, a lifelong interest in paleontology was prompted by family holidays to the Jurassic Coast and the Isle of Wight (Britain's "Dinosaur Island"). 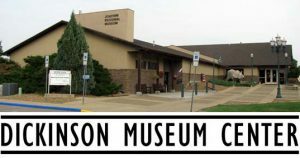 Here, Denver collected Cretaceous and Tertiary fossils, including many dinosaur bones, and later worked at 'Dinosaur Farm', a hands-on museum where visitors watch and interact with volunteers preparing the latest dinosaur finds. Since 1996, Denver has worked in a number of paleontology museums and university departments, and also in science media; as a dig site leader for the BBC's "Live from Dinosaur Island" (2001), a specialist researcher (2005-6) for Impossible Pictures (London), and scientific consultant for many other television, film, exhibition, and media projects. 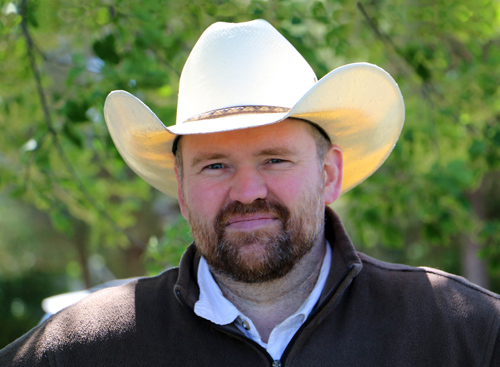 Denver's interest in paleontology has a strong basis in fieldwork, and he has extensive experience having worked in the UK, Mongolia, China, the US and Canada. Much of his past fieldwork has concerned horned dinosaurs, including collecting ~100 Triceratops sites for Museum of the Rockies (including the juvenile "DF Juvie Trike III", also on display at the Smithsonian), 18 Psittacosaurus skeletons in Mongolia, Pentaceratops and Ojoceratops from New Mexico, and rare ceratopsians from the Judith River Formation. Other prominent finds include a new ankylosaur from the Judith River, and the oldest most complete hedgehog teeth. He also identified and excavated the smallest known T. rex "Chomper". Denver currently conducts fieldwork in Late Cretaceous rocks of the northern US, focusing on rare species, growth stages, or direct evidence of dinosaur behavior. The research program at Badlands Dinosaur Museum continues the general theme of Denver's PhD supervisor, Dr. Jack Horner, with an emphasis on dinosaur paleobiology, focusing on how dinosaurs lived. Past research includes multiple papers on dinosaur claw function: comparing "raptor" dinosaurs with modern birds of prey, and another project that suggested that sauropod foot claws were used to dig nests based on comparison to living tortoises. Denver's research also investigates dinosaur evolution by refining the stratigraphic relationships of geological formations (how different aged rocks line up against each other). Denver is especially interested in increasing public understanding of how science actually works. Future research projects, exhibits, and other media are going to take a new approach emphasizing the process of how new knowledge is created -how do we actually come up with a hypothesis and how is it tested? Wilson JP & Fowler DW (2017) First confirmed identification of juvenile Triceratops epiparietals. Cretaceous Research 70, p. 71-76. Wings O, Tutken T, Fowler DW, Martin T, Pfretzschner H-U, & Ge S (2015) Dinosaur teeth from the Jurassic Qigu and Shishugou Formations of the Junggar Basin (Xinjiang/China) and their paleoecologic implications. Paläontologische Zeitschrift 89(3), p. 485-502. Scannella JB, Fowler DW, Goodwin MB, Horner JR (2014) Evolutionary trends in Triceratops from the Hell Creek Formation, Montana. Proceedings of the National Academy of Sciences 111(28), p. 10245-10250. Fowler DW, & Sullivan RM (2011) The first giant titanosaurian sauropod from the Upper Cretaceous of North America. Acta Palaeontologica Polonica 56(4): 685-690. Fowler DW, Woodward HN, Freedman EA, Larson PL, & Horner JR (2011) Reanalysis of “Raptorex kriegsteini”: a juvenile tyrannosaurid dinosaur from Mongolia. PLoS One 6(6): e21376. doi:10.1371/journal.pone.0021376. Fowler DW, & Hall LE (2011) Scratch-digging sauropods, revisited, Historical Biology 23(1): 27-40. B.Sc. Geology, South Dakota School of Mines and Technology, Rapid City SD. M.Sc. Geosciences, Fort Hays State University, Hays KS. 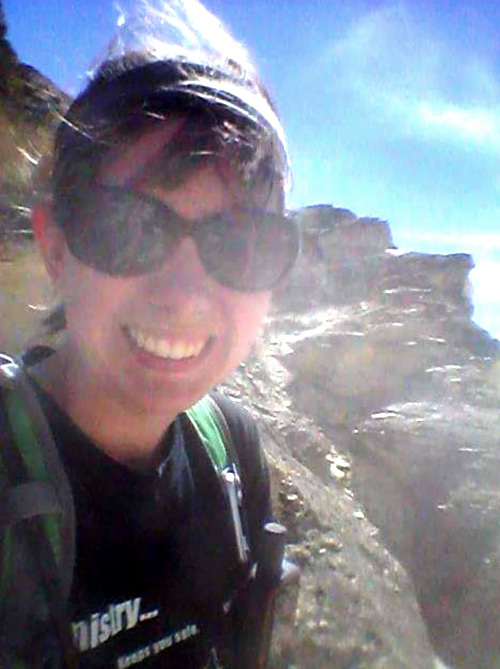 Darrah has previously worked at a number of other museums, including the Sternberg Museum of Natural History, KS; Badlands National Park, SD; and the Museum of Geology, South Dakota School of Mines and Technology. Darrah has extensive experience with extinct marine fauna of the the Cretaceous Western Interior Seaway, including ammonites and mosasaurs. Darrah has also developed many paleontology education programs for a variety of age groups. Starting at Badlands Dinosaur Museum in April 2019, Darrah is responsible for running the preparation laboratory facilities.